Hip To Save posted these nice little freebies. 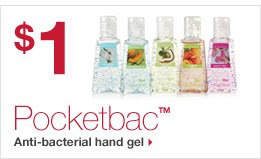 Go to Bath and Body's website for other deals including the $1 Pocketbac pictured above. Get a FREE Signature collection travel-size item with any purchase at Bath and Body Works with this coupon, expires July 15. This coupon can be redeemed online using the promo code WELCOME616. Or a FREE Anti-Bacterial Foaming Hand Sanitizer with any purchase using this coupon, expires July 5. I was able to get this freebie before by buying a different travel-size lotion on sale for $1. It was in on the registers counter. So I only aid $1.08 for 2 lotions! I was so elated. I never thought I could leave the mall with a $1 bargain. It's wonderful to see they have these available again. I might just give it away to a friend! We were much better this week with dinner. Less harried and more in the know about what to cook. I made most of what was last week's menu. Except I switched all the days around. So I was 50% successful. Check out more impressive menus from hundreds of entrants at Organizing Junkie. Thursday was impromptu date night and we had take-out from Rafters at the Wharf. Saturday was Spaghetti, something easy for the kids to eat. Then Weds. Potluck was switched to Paella; Saturday's Red Beans and Rice was on Friday. also, $0.85 Ajax or Palmolive 16 oz (bigger than at CVS); 2pk Lysol Neutra Air is $3! View their store ad for even more deals. They accept coupons and EBT. There is a store off Hwy 98 and another off Sorrento near Winn-Dixie. It looks worth it to me to stop here if not to avoid all the tourists flocking Wal-Mart. I just updated the deals for Barnes here. I also added the best of Barnes to the Wal-Mart Price Match list here. Sorry this took so long. I just got the ad Sunday night. It's still not too late to get the deals. Grocery ad prices are good through Tuesday. Also check out the best deals for Publix, Greer's, Winn-Dixie, and Food World. Did you Get You Paper Today? I was very surprised to find an insert for Gillette. It was NOT with the other coupons. Instead it was stuck with one of the store ads. CVS and Target have Razor Deals that make these razors cheap or FREE! So, hold on to these coupons. You'll surely find a great deal using them. Big Lots, Dollar General, and Wal-Mart have their ads in the paper. You'll find a few great deals from these stores too. Old Time Pottery's ad is also included. If you have a collegebound student in need of inexpensive decor or apartment essentials, check out their ad and visit their store in Gulf Shores. The coupon booklets themselves are very promising with a few high value coupons that would easily recoup your $1 paper purchase. To find a complete list visit Common Sense with Money here. Coupons vary by region so we may not get all of these. If you are new to coupons, read this post I wrote on how to keep coupons organized. Total OOP: $5 and no ECBs left. But this would have cost $16 on sale without ECBs and coupons and much more at regular price. Another great deal is the Coppertone Sun Care. Get 2 FREE after ECBs! It's not included in the $5 Challenge because the OOP is more than $5. Use (2)- $5 off Copperstone Sun Shield from here Thanks Hip To Save! Remember when Wal-Mart had all those tearpad coupons in the snack aisle? I hope you snagged a few. Walgreens has a deal for you to use them. Spend $15, Get $3 RR"
So, you end up paying only $5 for 10 snacks! 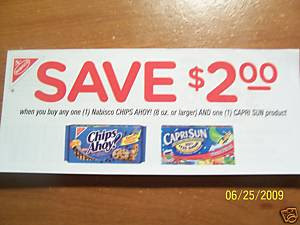 The items for this deal are Kraft brands (Planters, Nabisco, Capri Sun and Kraft). Check out the Walgreens ad page 5 or this ad scan or their website. By the way, this coupon picture is from ebay. You could buy 20 coupons for $2, free shipping. But I've never done this before so I can't say how great that experience would be. 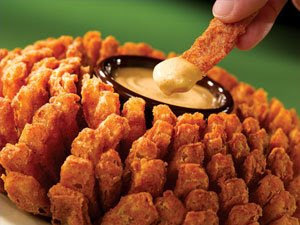 "AAA Members Get a FREE* Bloomin' Onion"
Just show your AAA card to the server! No coupons to clip. So you could get a FREE Bloomin' Onion every single time you visit AAA from now until the end of the year! Check out other restaurants participating in Show Your Card and Save here. 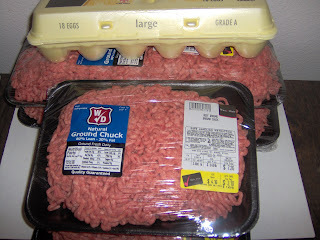 Winn-Dixie has ground chuck for $1.49/lb. This is cheaper than even ground beef on sale. That’s normally $1.99/lb. So my hubby stocked up with 10lbs and also picked up some eggs. He saved 53% and spent only $17.80, saving us $20.55. Otherwise, he would have spent $38.35. At Publix, we would have spent $58.13. Instead we saved 67% and spent only $19.14. That’s a savings of $38.99. Ritz crackers and Crystal Light were BOGO. 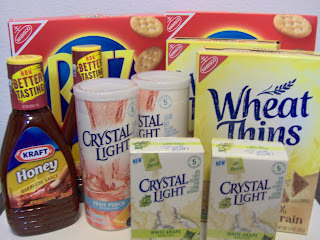 Plus I had “Buy Ritz Get Wheat Thins FREE coupons”, as well as Crystal Light coupons. All 6 items were only $2, or $0.33 each. The Kraft BBQ Sauce was also BOGO. With $1 off 1 Kraft coupon from here, it was only $0.17 each. We did “splurge” and buy 1 lb shrimp at $5 for Paella this week and 2 sausage rolls for $2 each. 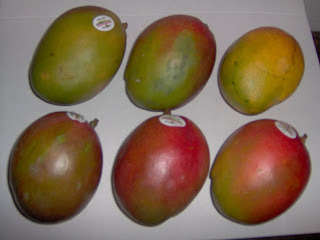 Since mango was $0.50 each, I picked up 6 to enhance this ethnic dish. Plus it’s really good for you. Be warned, the mangoes were rather small. *I wish I could say this transaction went off without a hitch, but I actually have to return 1 Crystal Light Skinessentials. I had a FREE coupon but it was only free up to $3.50 and I still would have paid $0.60. I told the cashier I did not want to buy it because I didn’t want to waste my FREE coupon. She voided the coupon but still charged me for the item. I did not include this $4.11. I would have caught this had I checked the receipt before leaving the store. So don’t make the same mistake I did! On Tuesday at Wal-Mart, I bought more vegetables for the freezer. Between this purchase and Sunday's, we are pretty stocked-up for the month with vegetables! Tuesday is always the last day for the week’s grocery deals. So these sale prices may no longer be available. Check my Wal-Mart Price Match grocery list for current deals. I spent $30.21 for about 40 lbs of veggies, plus pasta items. This picture shows you what items were purchased. I didn’t want to take all of them out of the bags for the picture. I picked up 2 cucumbers, ginger root, 2 Velveeta Shells Dinner, pasta and tomato sauce and paste, none pictured here. In the near future, I plan to post a price list that shows the cheapest prices for staples like meat and vegetables for our area. 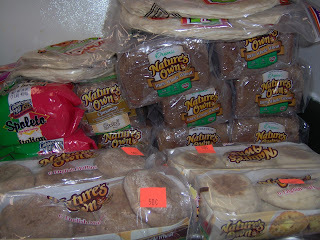 Organic bread for less than $1? Only $0.79 at the Flowers Thrift Bread Store. I paid $13 and this is what my bread stockpile looks like: (except for the English Muffins at $0.50 each, the breads and tortillas were $0.79 each) This could easily cost $40 retail. If you have not done so, visit them. They are next to Whataburger on Mobile Hwy. Call 850 944-9989 for hours and to find out if the bread you want is in-stock that day. They even give out FREE old bread for animals (like ducks, dogs and such). Split it with someone, it’s a lot of bread! If you plan to go shop at the new Publix, stop by the bread store down the street. You will not be disappointed! At Walgreens, I spent $12.49 out of pocket. I did get $8 RR back. After the Register Rewards (RRs) my total is $4.49 or 64% savings! 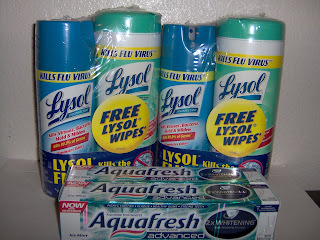 I was able to buy two Lysol sprays with FREE wipes for $.05.0 each! And some cheap Chex at 3/$2.50 after coupons. They are not pictured here because we snacked on them before the photo. This trip, though, was not that great. My cashier was polite but unbending. I did not get overage on my Aquafresh toothpaste because she would not let me use my coupons and I could only get 2, not 4. Nor was I able to use my $3 RR from last week because she said she was sure I would not get any RRs if I pay with one. She was wrong, of course, because they can rollover as long as they are for different items. Then I remembered that coupons cannot be used to buy the diabetic monitors if you are doing a rebate. This is because the rebate is only for the actual amount you pay after coupons. So unless there is something really grand on sale next week, I really cannot stock up on RRs. On Tuesday, the truck came in to CVS with the Aveeno lotion I was looking for. 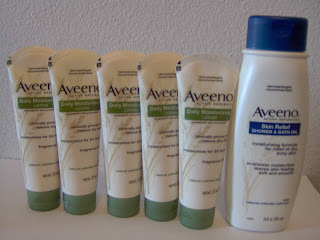 I was able to use my rain check from last week’s sale and get $10 ECBs for buying $20 Aveeno. 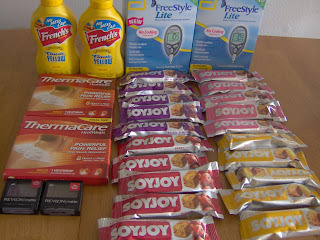 I used coupons I bought from Coupon Dede and ECBs from the Soyjoy deal. I also bought myself that lumbar support frame for $4 (I told the cashier I bought one already. Since the tag said 2 for $10, he only charged me $4). Total Out of Pocket $0.86 plus got $10 ECBs! I've listed the best deals from other stores that you can price-match at Wal-Mart. I price-match to avoid driving all over the place by buying it all at Wal-Mart. You can price match items from any printed ad, grocery, drug or department stores (except Big Lots), as long as there is an actual price listed per item (not BOGO or % off sales). Learn more about price-matching from this post I wrote. If there any Wal-Mart rollback items that is just a great sale I will add it here too. Store abbreviations: FW (Food World), G (Greer's), B (Barnes), WD (Winn-Dixie), Wal (Wal-Mart), PUB (Publix). Click on the store name to view other deals not listed here. You can PRINT this form and take it to Wal-Mart with you. And each cashier is supposed to have a copy of the Weekly Ads if you didn't bring yours. 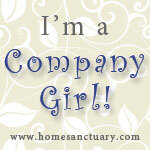 Frugal for You is proud to be part of the Grocery Gathering! It is a collection of the best deals in national and local grocery and drugstores. You will also find Frugal For You's Food World, and Winn-Dixie Deals in the Grocery Gathering. I love finding the coupon match-ups there... less work for me. Try I Heart Publix to know where to look for the coupons. You may also view Publix's ads at their website for a complete list of BOGO items and Essentials. However, I usually price-match their sales at Wal-Mart instead of shopping there. Print their weekly ad if you plan to do this. Their ads sometimes do not make it in the Weds newspaper. The cashier may give you a hard time if they do not have a copy of the weekly ad to verify. Food World doubles coupons up to $0.55! The best way to take advantage of this is to buy what is on sale from their weekly ad with your coupons. Their prices are more expensive except for their meat. At least once a month or so they have these sales: $0.99/lb split chicken breast, $1.80/lb asstd. porkchops, $1.99/lb ground chuck. These prices can be price-matched at Wal-Mart if you do not go to Food World. Frugal for You is proud to be part of the Grocery Gathering! 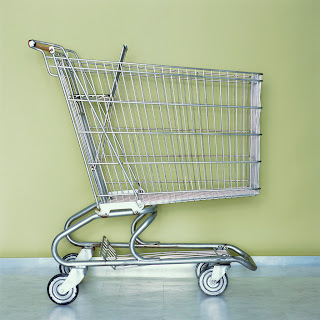 It is a collection of the best deals in national and local grocery and drugstores. You will also find Frugal For You's Publix and Food World Deals in the Grocery Gathering. View the Winn-Dixie ad on their website here They have coupons here too! Remember to use you Winn-Dixie card to make these deals work. If I find a great in-store special not advertised in the ad, I will update you! I love Barnes Supermarket! They have great deals on meats and produce. But I've never shopped there before. I just use their ad and price-match the best deals at Wal-Mart. Price-matching at Wal-Mart saves me time and money. To learn more, read this post I wrote. This Barnes Deals list is pretty late. I didn't get the weekly ad until Sunday night. Sorry... I will update the Wal-Mart Price Match too. Restaurant.com is once again offering 80% off their gift certificates through June 25. The code is DISH. Be sure to click apply when you type it in. Otherwise it will not deduct the discount. 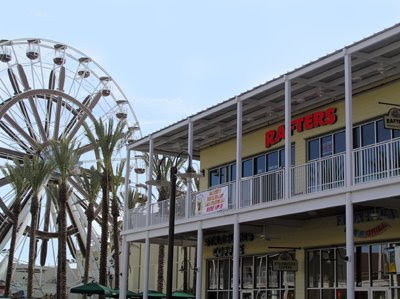 I printed 4 for Rafters at the Wharf in Orange Beach. They don't have a minimum purchase, just buy 2 entrees at least. A friend gave us a $25 GC there last year for Christmas. It's like a nice neighborhood bar and restaurant. And Rave Theater is right behind it. So you can park the car and eat then walk to the movies! 1. Your minimum purchase may be higher than your GC price. 2. You can only use one per month per restaurant. 3. These are valid for 1 year. 4. It may or may not include alcoholic purchases. So ask first. 5. There is no cashback. Did you get your paper this Sunday? If you missed it, call Dollar Tree. They may have copies today and Tuesdays. And it's only $1! Check out USA Magazine for coupons. I found 3 brands: Scott (3 coupons), Prilosec ($2 off any), and Cottonelle ($1 of 12pk). Landry's Restaurant also had an insert with three $10 off 2 dinner entrees coupons and $5 off one lunch entree. I love eating there. I am not above saving a few dollars on dinner. These coupons would certainly keep costs down. This way we can tip more. That's how I look at it anyway. Chili's coupon- $5 off 2 entrees. This was a peelie (sticker) on the front page of the newspaper. You may be able to use it for lunch and it doesn't expire until July 14. We did not get the $2 off Starbucks, nor the Nivea coupons. If you want them badly, check e-bay or different coupon clippers. I remember as a little girl imagining what it would be like to have my Daddy around. He was and still is in the US military. I grew up overseas so for most of my 12 years we were a few thousand miles apart. To ease the pain of separation, he'd send me packages, handwritten letters and every birthday card. He'd visit a only few times a year, mostly for Christmas, meaning he missed all my birthdays. But, I was, admittedly, a Daddy's girl! I made the most of his visits. As soon as he would raise his voice in attempts to discipline me, I would let big teardrops fall to get out of trouble! I don't think he had the heart to say no to me. At 13 we were finally living more months out of the year together. Unfortunately, by 18, I left for college and have not lived home since. So we are apart again. My Daddy is a very generous man. Like most, he is full of flaws. But these are all overcome by his genuine love for our family. Even though I still don't see him much I'm very thankful for my Dad. The man he is and has become. He is a true overcomer. 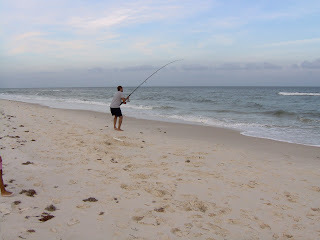 The other Dad I love is my husband, pictured here on the verge of reeling in a Pompano. What a blessing he is: loves God above all else and continually learning how to be the man he's made to be. Every hobby and passion he pursues is a money maker! (I save us money and he makes us money) He is a songwriter and singer, inventor, handyman, personal trainer, linguist, dance instructor, soccer coach, fisherman, martial artist. A true Renaissance man. Contemplative, interesting, and interested. I'm glad God put us in each other's paths early on as Best Friends. As a Dad, he is adored by our little ones. It is an awesome sight seeing them look at him work a piece of wood or when he is training them. He is definitely their idol! Their minds are constantly challenged by their Dad. To him, their limitations are very few. And he seeks to guide them and show them more than they think they can accomplish. He really believes in them. As a Mom, nothing can make me happier. So I hope you have an AWESOME Father's Day! And the same to all the Dads we know and love. Thank you for your legacy and inheritance. It's Sunday, my usual CVS day. I posted a CVS Shopping Plan which I forgot to bring a copy with me to the store. Good thing I had a rough list in my notebook. The Crest multipack was $7.99 so I did not buy it. The Soyjoy was FREE after ECBs. I love these. They are definitely girly power bars! Also, my hubby found a lumbar support (not pictured here) for $6. It's a mesh curved piece you put between you and the chair, like the car seat. He used it on the drive home and it helped alleviate his back pain. Great Father's Day present. I plan to use these ECBs to buy Aveeno lotion. They ran out of the small sized $3.39 lotion ;ast week. My CVS manager gave me a raincheck for last week's deal (Buy $25 Aveeno get $10 ECBs). With coupons and these ECBs, my OOP should be zero! 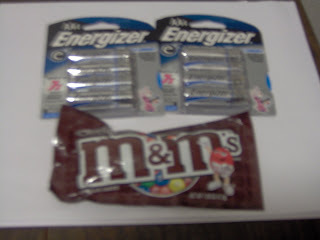 *I bought 2 FL Meters because I need my total to get up to $50 to use the $10 off $50 coupon. They ended up FREE because of two $9.99 coupons from the paper a few months ago. My friend's husband tipped us on getting these as fillers. Sometimes they are even moneymakers like this week at Walgreens. He said he gives them to his boss, who then takes them to Missions trips. I guess these are not cheap overseas. What a great way to help others while saving money! 8. Kids' (and or Mommy) nap. 1. Get the paper for $1 at Wal-Mart. Buy a few when there are more than 2 booklets or really great coupons. Go to this site to find out which booklets will be included in the paper. 2. 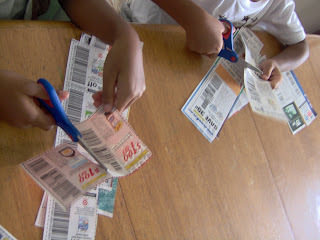 Cut each coupon out! Sounds wacky but the plan is to make sure you don't miss a coupon. It really takes no more than a few minutes. When I buy multiple papers, I cut the coupons myself. The same booklets get cut together, one booklet at a time. Then I group the coupons that are the same together. 3. Alphabetize the coupons. Again, takes only a few minutes. Even with multiple papers, this is not too bad since they are stacked together already from #2. Put aside coupons you will not use but instead will give away or throw out (for me these are pet and baby coupons). Cutting up coupons should be as brainless of a task as possible. This way your mind power is reserved for the organization needed in alphabetizing. As a rule, alphabetize by Company Brand Name, unless you can remember all the specific names. (Example, Kraft coupons for cheese, BBQ Sauce, mayo, fall under K for Kraft). This is so handy when spotting hidden in-store deals. You'll find your coupons quicker this way than trying to figure out which category they me be located. 4. Put away in tickle file or binder. My tickle file poses as a clutch purse. (Altough I am rethinking shoebox! With all these new Internet coupons, I can hardly close this thing.) I have an envelope for each letter and that goes into the coupon purse. Some use binders with baseball card organizers. Each packet of 30 sleeves cost $5 and are found at Wal-Mart. I may switch to this after I get over the sticker shock. After all, I'll need more than 30 sleeves! So now you are coupon ready! Practiced weekly for a few months, this money-saving habit will take no more than 30 minutes to do. Get everyone to help! And when coupons are used with great store sales, it is guaranteed to save you lots of money! This morning, I stopped by Wal-Mart to get the newspaper and produce. I wanted to stock-up on some for the freezer. 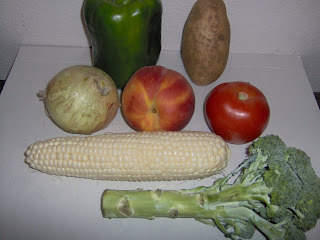 To get the best deals, I price-matched several veggies from this weekly round-up. I spent $10.85 for these. Regularly priced, these would cost at least $20. The ( ) shows which store is price-matched. And you can still stock-up through Tuesday. See my match-ups here. 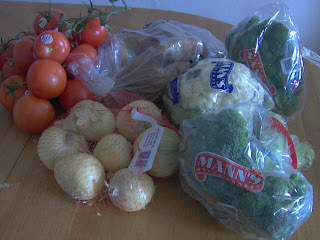 I also bought other veggies (some on sale, some not) for this week's menu plan. Plus two FREE trial-size Aquafresh with coupons from here and the newspaper. With summer trips coming up soon, I am on the hunt for free travel-size toiletries. All in all, my total came out to $21.43. Not bad for about 30 pounds of vegetables. I am planning a trip to CVS tomorrow morning after Church. They have some great freebies, including Thermacare neckwraps. (I've been able to buy these for FREE before for my hubby. They work great!) 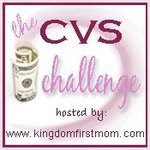 I also posted a CVS $5 Challenge. I'm defintely getting those items plus more. Buy Soyjoy $4 for 4, get $4 ECB. Buy 20, use two $1 off 5 coupon . 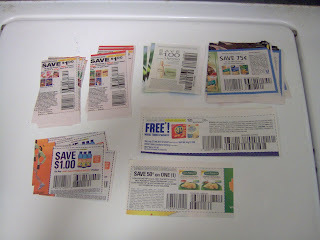 Remember when I wrote a post about buying coupons online. They came in on Weds. And I was very pleased. But the problem I have with them is in using them! Normally, I do my shopping on Mondays. Since I didn't have my coupons for the cereal and Aveeno, I waited to do these CVS deals this Saturday. Well, I should have gone sooner because the products I wanted were gone! Luckily, the manager issued me a Rain Check for Aveeno. I would still get the CVS Deal, Get $10 ECB when you buy $25 Aveeno. That's great. I love CVS! And she also let me know that the price check machine is again printing coupons. Only 1 coupon printed, $10 off $50. But I also got CVS coupons from my receipt, including $3 off Revlon (I'll be using this for the BOGO deal this week). This trip is courtesy of my hubby. During lunch he went by Walgreens to use up our Register Rewards (RR). The lithium batteries are $7.99 a pack. It turns out that you can't go very far using alkaline batteries in digital cameras! He came up to pay for them with $18 RR, from 3 RR coupons. But the register kicked back one coupon. It turns out, to use 3 RR coupons, you need 3 items! So he called me and I suggested to add a candybar and it worked. Whew! He paid $1.93 out of pocket and enjoyed some M&M's as a reward! We still have $3 RR left. And I plan on using it this week at Walgreens. I have my shopping trip outlined here. Oh Where Did My Nice Target Go? 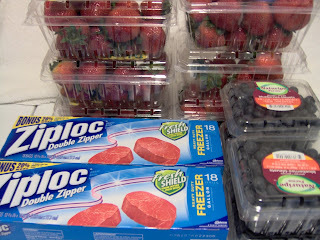 On Thursday, I went to Target and bought just a few things: strawberries, blueberries, and homeschooling items. I also came to fix my receipt from a previous shopping trip. It looked like they didn't give me $2.75 in coupons. The coupons were listed on the receipt but I tallied it and was short 3 coupons. When I called, the man I spoke to said I would get a refund. But Tijuana, (her real name, don't know about the spelling) from Customer Service said I was wrong. She said that since the coupons were listed, they were deducted from the total. When I challenged her to add up the value, she would not. All she did was copy the coupon codes and say she would pass the info along. I was so mad but tried to stay cool. I asked for a comment card. And am going to mail it in and also write corporate online. This has been happening to me a while. For some reason, if I buy something that is a Target special promotion that week, and I stack a manufacturer's and Target coupon, the manufacturer's coupon is listed but not deducted from the total. So check your receipt, preferably before leaving the store! This way if this happens to you, the cashier could pull out your coupons from the register and sort out the problem. As for me, unless the Target deals is out of this world, I will no longer be shopping there. It's too much of a hassle to use coupons and they have lots of unwritten rules on how to use them. I'm very disappointed since they just opened in March!